After 6 flights in 21 days, I am back in Tunis once again ready to resume this Tunisian adventure and hopefully continue to serve the International Community with valuable security insights. During my time off I had the opportunity to visit Frankfurt, Germany, New York City, USA and Santo Domingo, Dominican Republic. As a security professional I could not turn my ‘security mind’ off and I must say that I learned a lot during my break. Upon my arrival I was told that Tunisia was suffering from a ‘water shortage’. After visiting Carrefour and a couple of Monoprix stores I quickly started to doubt the severity of this so called shortage. While visiting a small convenience store I figured out the source of the ‘shortage talks’. With 4 bottles of water in his hands, a Tunisian man told the store clerk “I have to get as much as I can cause you know that all the water is going to Libya”. “Yes”, the store clerk replied “there is even a shortage of beef, fish, and flour…it’s all going to Libya.” The talks about ‘shortages’ suddenly made sense to me. The ‘shortage’ is really a combination of rumors + oppurtunisitc merchants + humanitary efforts + Ramadan preparation overbuying…etc,. Still, it always makes sense to have a practical stock of water and every family should consider maintaining their own ‘home survival kit’. Ramadan is expected to start on Monday, August 1st and last until Tuesday, August 30th. As can be expected Tunisians are very excited about the start of Ramadan and busy getting themselves ready for a month of fasting. Although shops, restaurants, banks, etc., operate on a much lower capacity, tourist zones such as Yasmine Hammamet are pretty much functional as usual. As indicated by the map on the right, during Ramadan you can still enjoy the beautiful coast of Tunisia. From a security point of view Ramadan is usually a relatively quiet month, but common courtesy such as not eating in front of locals and avoiding busy highways during peak hours (1600-1800) are good practices to keep up. 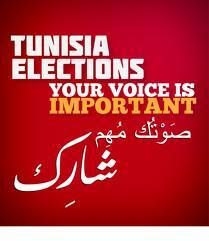 Last but certainly not least, Tunisians are thinking about the up and coming elections which will take place on October 23rd. Right now there is a massive register to vote campaign taking place all throughout the country. Additionally, Tunisians are trying their best to navigate the electoral playing field and learn as much as they can about the people who wish to win a seat on the National Constituent Assembly (NCA). The Middle East and North Africa International Foundation for Electoral Syste ms, prepared a great Frequently Asked Questions document about which explains anything you need to know about the Tunisian elections. Tunisia is a great snap shot of the current world situation. Facing political, economical, and social challenges, the people continue to find ways to go about their daily lives and enjoy life. During the days, the beaches are filled with swimmers and sun bathers that don’t look in the least bit worried, and the nights testify that there are no shortages of wedding celebrations. 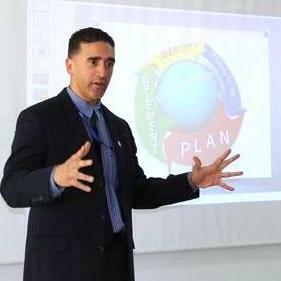 Still, the recent events in Gafsa and Sidi Bouzid along with the ongoing Libyan crisis and the up and coming elections give security professionals a lot to think about. Let’s hope that rather then the calm before the storm, this is a preview of what’s to come.